A few years ago Night Beats were a trio, pumping out psychedelic space rock like true prodigies from the bandana and denim era. Now for reasons less than clear they’re effectively a solo vehicle for front man Danny Lee Blackwell, with Myth Of A Man appearing after a period which he describes as “Particularly destructive for the band”. The turbulence predictably caused Blackwell to have a fundamental scratch of the head, turning to Black Key Dan Auerbach and hiring a group of anonymous, veteran session musicians who it’s claimed have worked with every legend, from Aretha Franklin to Elvis. It takes a strong mind in those circumstances to deliver a singular vision, but Myth Of A Man is all that and more, from the stacked, vintage soul of opener Her Cold, Cold Heart to the wonderfully kitsch garage blues of Eyes On Me. In the process Blackwell writes and sings out of his skin, obviously inspired by the amassed wisdom around him, a man leaving the impression that he’s having the time of his life. 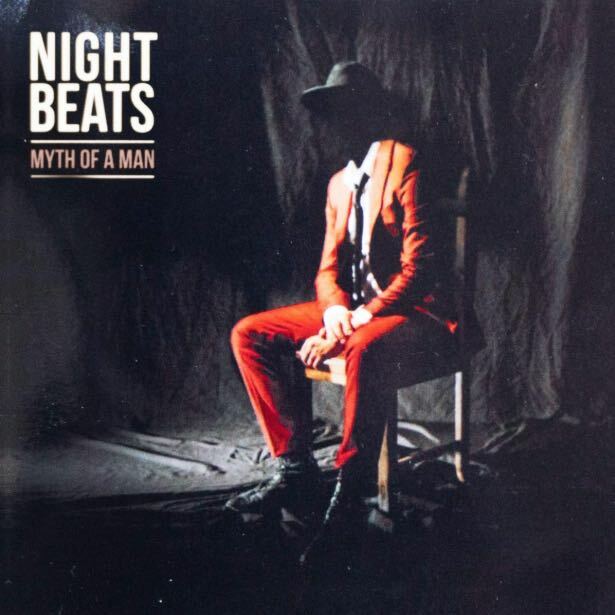 Night Beats may be a band again in the future, but after this, they’ll never be the same again.